NYC, 04/09/2019, 7:00PM. 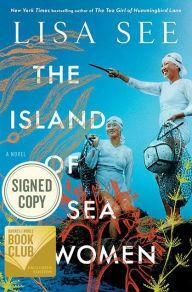 The Island of Sea Women: Female Friendships and Family Secrets. A new novel from Lisa See, the bestselling author of The Tea Girl of Hummingbird Lane, about female friendship and family secrets on a small Korean island.